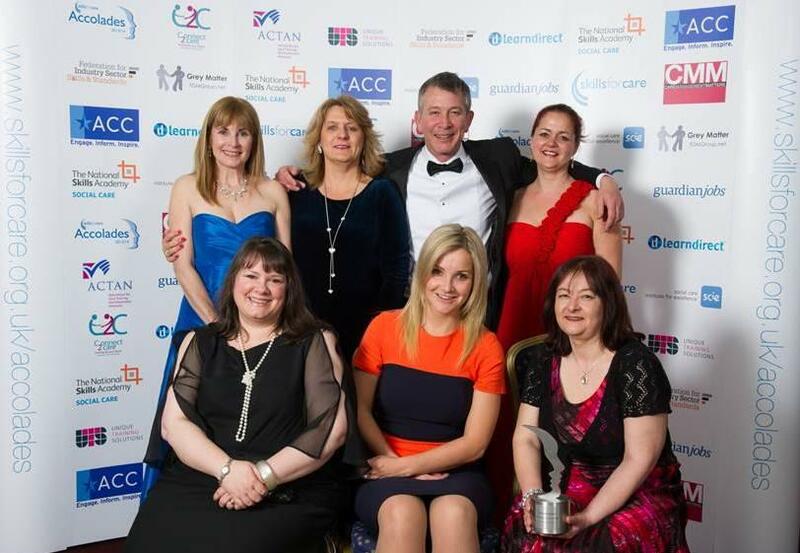 Cornwall Care has scooped a national award, applauding its unique culture and staff training. The not-for-profit charity was announced the overall category winner of the Skills for Care Accolades Best Employer (of over 250 staff) 2013/14 at an event in Birmingham. The Accolades awards, which are in their 11th year, reward the best of the best providers of adult social care. Chief executive, Douglas Webb, said: “Winning this award is national recognition of Cornwall Care’s approach to staff learning which places the needs of the people we look after at the heart of everything we do. “We know that the quality of our services and client experience is only as good as the quality of the staff we recruit and the support we give them in their working lives. “Our Education Practice Development team is committed to providing relevant and inspiring staff training so that Cornwall Care staff have the skills and knowledge, particularly related to dementia care, to carry out their duties to a high standard. Skills for Care works in partnership with adult social care employers to develop the skills, knowledge and values of over 1.5 million workers in the country to raise the quality and standards across the whole sector.